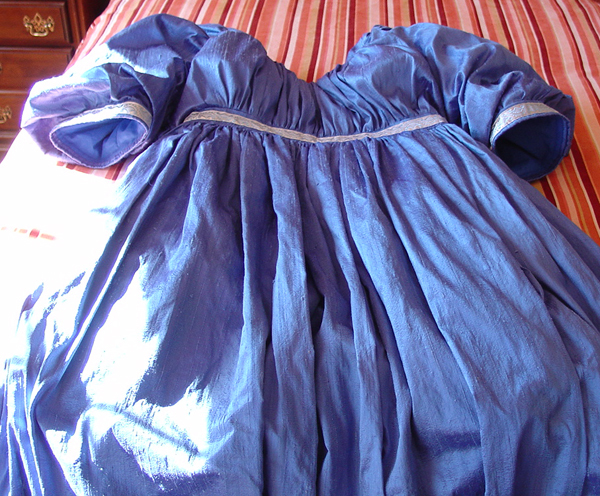 This Regency ball gown is made with crosswoven or “changeable” silk in royal blue and baby blue that creates a sapphire shine with constantly changing shades of blue. 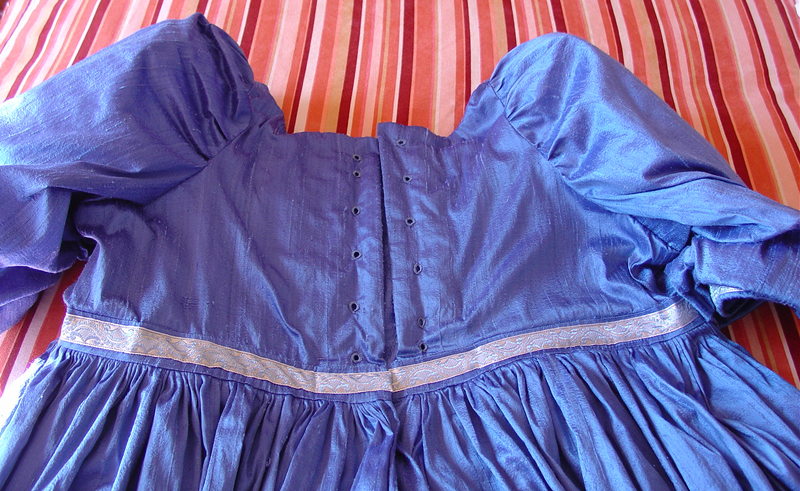 The fullness of the skirt somewhat toward the back, the waistline dipping lower in the back, and the full puff sleeves are indicative of the later Regency period, 1810-1815. The crisp silk is meant to emphasize the fullness of the gown by standing away from the body and to provide the excellent swirl when dancing. 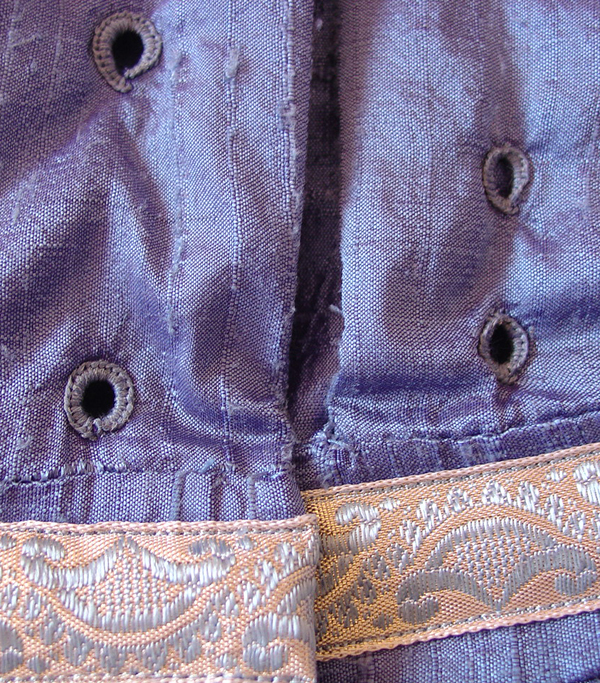 This gown has been entirely hand finished to create as accurate a period look as possible. This project was the first ball gown I made for a client, who wears this for English Country Dance events. 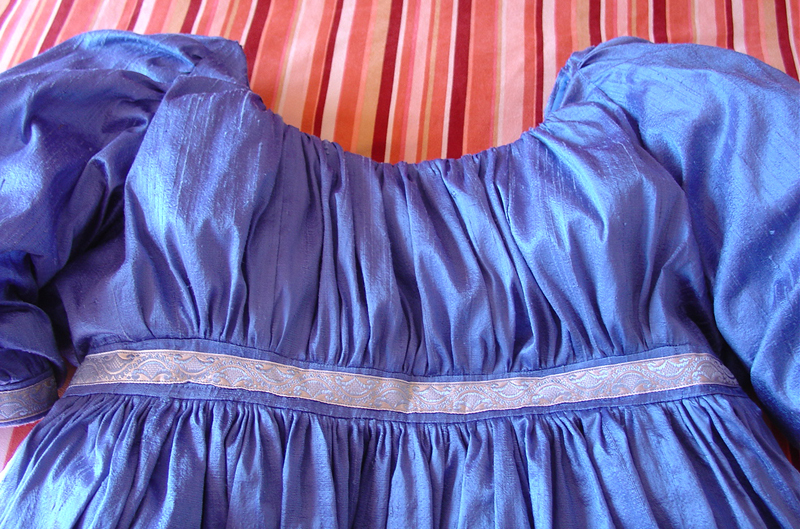 This gown was commissioned for her by her dance students- what a lovely and thoughtful gift! The photos were taken laid flat on my guest bed before shipping since this was a long distance order after the initial fittings in person. The natural light allows you to see some of the luster of the silk but it is more beautiful in person and when dancing!